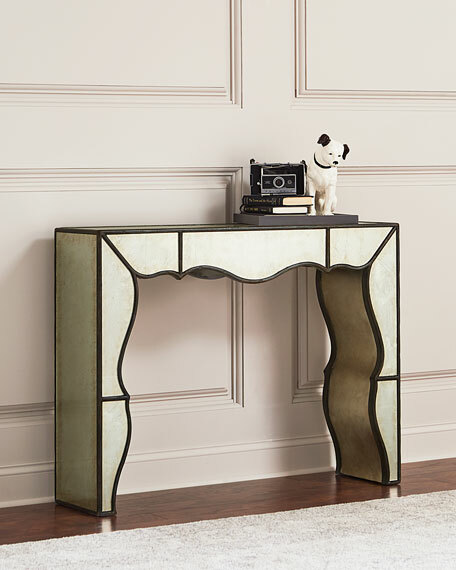 This gorgeous silhouette with eglomise and silver leaf highlights combined to form a wonderful hall console to complete that unique niche in a home. 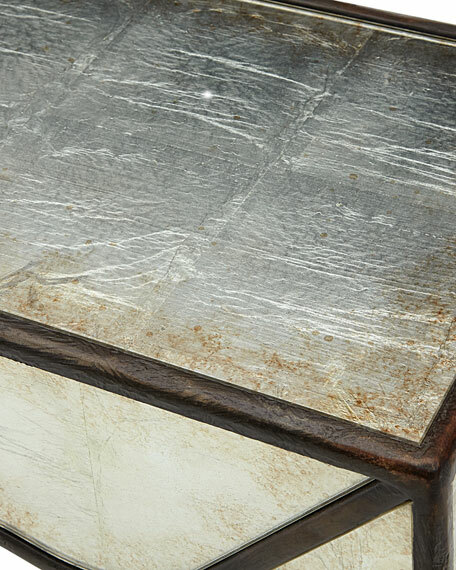 With a charcoal finish on the trim adding dimension and depth, this piece is sure to be a show stopper in any room. 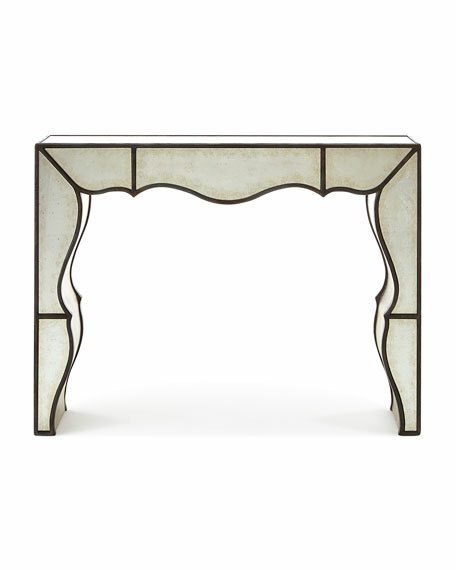 Handcrafted and hand-painted console table. Poplar and hardwood solids; eglomise, glass and silver leaf accents. 48"W x 12"D x 36"T.